Prior to working at BCD, I taught Art in North Carolina for five years where I was selected Teacher of the Year at Piney Grove Elementary K-5. I’ve taught Sculpture, Drawing, Painting, and Art History to gifted artists at Northwest Arkansas Academy of Fine Arts High School. At the University of Arkansas, I was a standout athlete in Cross Country and Track earning seven All American honors helping my team win multiple SEC titles, and in my final year I competed at the Olympic Track and Field Trials! I grew up in Dallas, Texas and was a high school All-American and state champion in the mile run. When I am not teaching I love to paint, create illustrations, and visit Art Museums. My favorite thing to do besides teaching and making art is being outside! I love running, walking, hiking, biking, and spending time with my family, friends, and my two dogs. I taught 6th grade in Missoula, Montana for a year, moved home to New Jersey and taught for one year before moving to Sumatra, Indonesia to teach English to High School aged children. Later I moved back to the east coast and taught children who were on Broadway Musicals and on the Disney Channel as well as several movies. In my spare time I love to mountain bike, ski, fly fish, travel and go birding with Robin Hoover and Kathy Steinbaugh! I volunteer at the Birds of Prey Foundation in the ICU working with sick or injured raptors. I also volunteer and travel with People to People Student Ambassadors. I have lived and taught in New Jersey, New York, Montana, California, Sumatra, and England before settling down in Colorado in 2001. I’m a MD/DC native but I knew my future was in the mountains, so I moved out to Colorado in February 2015. I’ve been an art teacher at summer camps, a nanny for many years, and a substitute teacher. The arts have always been a huge part of my life. Whether I am performing, directing, or drawing, I love making art with people. I am thrilled that my path brought me to BCD! When not at school I like to play floor hockey, hike in RMNP, read, and watch The Office. I have been teaching for 15 years at various grade levels, most recently in Hawaii. I truly enjoy spending time with my family and attending my children's sporting events. I love reading, cooking, and traveling. Traveling has given us opportunities to experience different cultures, foods, and a true appreciation for the world around us! 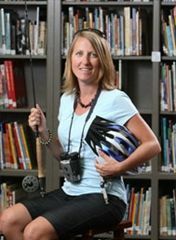 Before coming to BCD in 2014, I worked in the Boulder Valley School District for ten years as a classroom teacher, literacy specialist, and as an educator of gifted students. During my free time, I love to travel, bike ride, hike, ski, and spend time with family and friends. I grew up in the Midwest but moved to Colorado as an adult. My husband and I have 4 children and the all went to elementary school here at BCD. We all love to travel and hike together as often as possible. I have always loved being a teacher! When not at school I am out walking my dogs. For the past 15 years I have enjoyed teaching grades 3-5 in the states of Alabama, Texas, Illinois, and Nevada. I really love cooking! I also enjoy reading novels and books about teaching science and exploring new places with my family. I have fun taking my miniature Schnauzer, Topper, to dog parks and trails in Boulder. On the weekends I enjoy spending time walking around Pearl Street and having brunch with family and friends. I was born and raised in Argentina. I love working with kids, and have been in the education field on and off for thirty years. 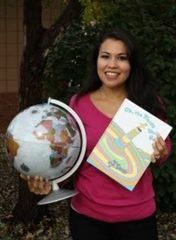 I ran a home-based preschool in Spanish and worked at Community Montessori Elementary School for three years as a para-educator. Most recently I have been teaching Spanish to children and adults at the Spanish Institute for the last two years. I met my husband, a German national, in 1990 when I visited friends in Colorado. A year and a half later we were married in Argentina and returned to Colorado to stay. I love spending time with family and friends and traveling (especially visiting my family in Buenos Aires). I also enjoy reading and playing tennis. 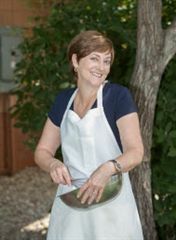 After graduating from The University of Northern Colorado, I began my teaching career in Loveland, Colorado. I taught Elementary Physical Education for two years prior to joining the BCD community and I am extremely lucky to be able to teach students a variety of ways to have fun while leading healthy and active lives. Being a Colorado native, I enjoy spending time in the mountains and appreciating all of the natural beauty this state has to offer. When I am not teaching you can find me snowboarding at Winter Park, learning some new tricks on my wakeboard, biking, hiking, watching the Green Bay Packers, or spending time with my family, friends and spunky dog, Jane. 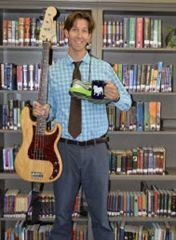 Music is a big part of my life, including teaching, performing, studying, listening, going to concerts, and more. My musical pursuits are varied, ranging from playing trumpet, bass, and guitar to singing in operas and choral ensembles. 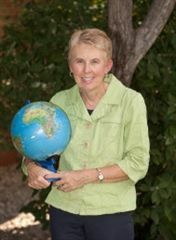 I joined Boulder Country Day School in 2011 and currently serve as the Vocal Music Director and Fine Arts Coordinator. 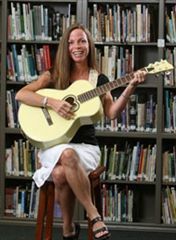 During my career I have taught a variety of musical and theatrical subjects to students at the Pre-K, K-12, and collegiate levels. I hold certifications in both Orff-Schulwerk and Kodaly methodologies and continue to pursue opportunities to grow my artistic and educational knowledge. As a performer, I currently sing opera and concert works across the Front Range and abroad. When I am not teaching or performing, I enjoy running, climbing, hiking, yoga, cooking, reading, coffee, and being with my wife and dog. Prior to working at BCD I worked in the business office of Lafuma America, a French outdoor gear company with an office here in Boulder that services all of North America. My experience at Lafuma America verified my philosophy that speaking a second language fluently can give you an advantage in the business world and help you find a very interesting niche. I enjoy writing poetry. I took guitar lessons in 2008 and now try my hand at composing songs. I have a wonderful family with two daughters—Amber and Makena—and we try to camp, hike, and bike or just be outdoors whenever possible. My favorite quiet time is a morning jog with my yellow lab, Sunny. Figuring out how a student learns and tailoring instruction to each child's unique learning profile is my passion in life. I have nearly a decade of experience in remediating learning exceptionalities in students ranging from Pre-K to High School. I enjoy spending time with my family, especially our new daughter, going for hikes, cooking, and skiing. I am Connecticut born and raised and have taught and coached soccer and basketball in an independent school in Greenwich, CT. for the past 15 years. I enjoy being outside as much as possible and participating in a variety of sports and activities. I enjoy listening to a wide range of music and attending as many live shows as possible.I am looking forward to exploring all that the great state of Colorado has to offer. As a musician and educator, I have been active in the Colorado and Connecticut communities for 6 years. In addition to teaching, I have performed with the Colorado Symphony Orchestra and various groups throughout the region. I love helping people define their goals and mentor musicians across the country. I also enjoy reading, traveling, and playing board games. I have been working in Libraries for five years and just completed my MLIS this past summer. I worked for two years in a middle school library in Chatham, MA before beginning my MLIS program in 2015. I love working with children and families in schools and public libraries. I enjoy hiking, sewing, traveling, and reading and look forward to many new adventures here in Boulder, CO! I began my love for teaching in Minnesota and bring 10 years of teaching Computer Technology experience to BCD. I have traveled the world more than once over and love to integrate culture and diversity into student lessons. I found a wonderful place to call home here in Boulder. When I am not in the classroom teaching you will more than likely find me in my gardens or at Dog Beach swimming with my 3 dogs.